Recently a new device joined our family. It is called the X-Wave. It is a device that transmits acoustic pulses. Acoustic pulses are extremely strong non-focused sound pulses that induce vibration within the body. The energy has been specially developed to avoid any skin damage while penetrating into the treatment area. Using the powerful energy of acoustic waves, it achieves the best results in non-invasive treatments of cellulite, scars and stretch marks. What are the effects of X-Wave? 1. Increased blood flow supply - In cellulite, the capillary system is constrained by hypertrophic fat structures. X-Wave allows for growth of new capillaries which increases microcirculation, oxygen supply and metabolic rate in affected areas. 2. Waste Elimination - In cellulite, there is waste accumulation from waste product build-up that provokes alteration in connective tissue. By mechanical stimulation of lymphatic vascular system leading to reduction of oedema and better elimination of the lipids from the subdermal cells. 3. 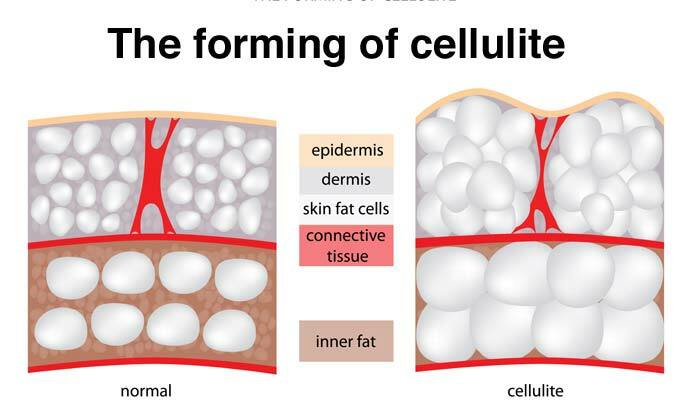 Collagen Remodeling - In cellulite, there is hypertrophic collagen and elastin fibers which dimples the skin surface. Acoustic pulses imnduce proliferation of fibroblasts. This process leads to the creation of a new thickened band of collagen. How is the treatment conducted ? the device comes with a light applicator with an ergonomic grip. It is then applied onto the treatment area in a back and forth or circular motion for several minutes according to the treatment protocol. The Acoustic Wave Therapy has been scientifically proven for more then 30years in various medical treatments (eg disintegration of kidney stones, erectile dysfunction). In aesthetic medicine, the acoustic radial soft waves were successfully modified to the clinical needs of cellulite therapy and for the treatment of other aesthetic conditions. In the studies conducted , there is a 73.6% increase of the skin elasticity, 85% patients appreacited the maximum level of comfort and 89% patients would recommend this treatment to others. What are the results like ? The application is painless and there is no special regimen required. Results are visible within 6 sessions and is long lasting without any side effects.